coarse, thick, midweight cotton fabric made from twisted, semi-fine yarn in the warp and coarse yarn in the weft, or vigogne yarn in weft satin weave. The reverse side is lightly combed. 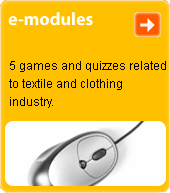 Used for work clothes and garments for technical purposes.